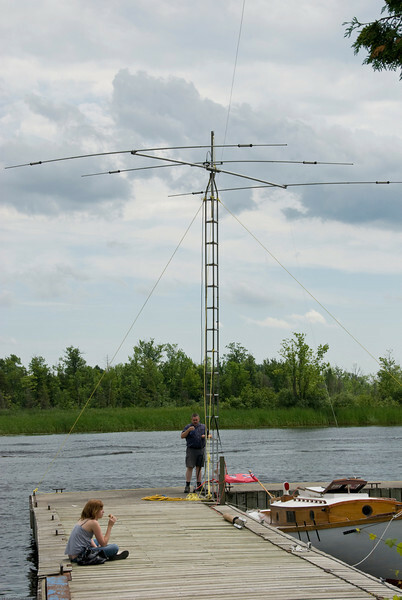 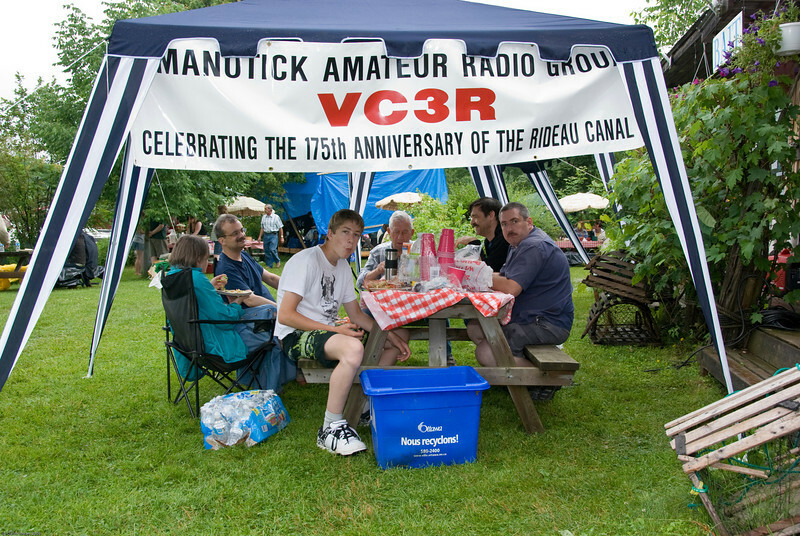 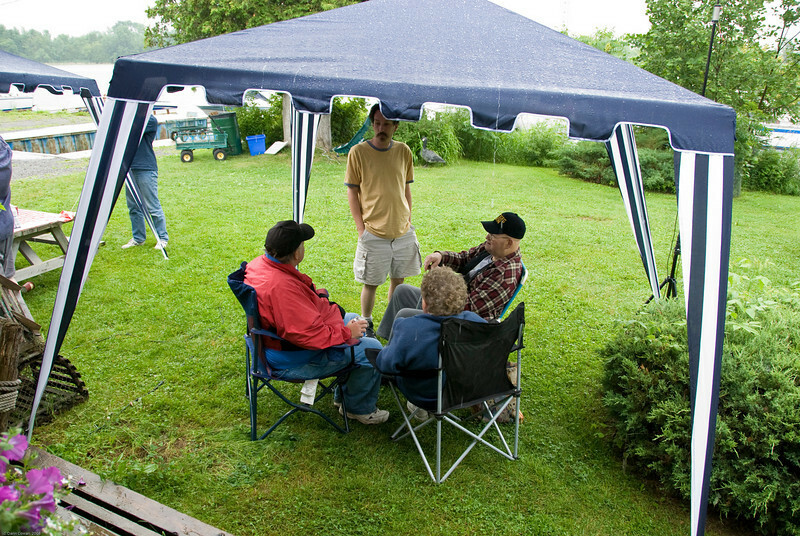 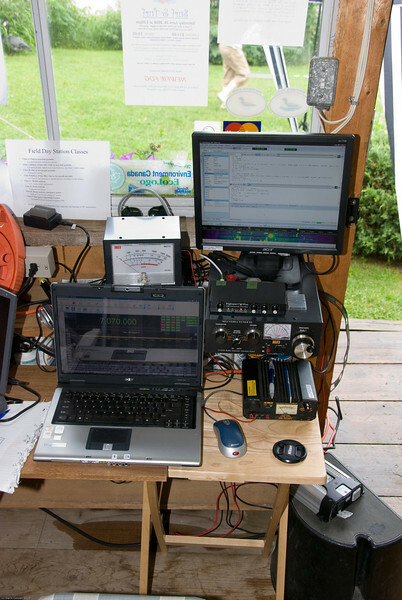 On 28-29 June 2008, the Manotick Amateur Radio Group undertook Field Day contest operations at the Long Island Marina in Kars, Ontario. 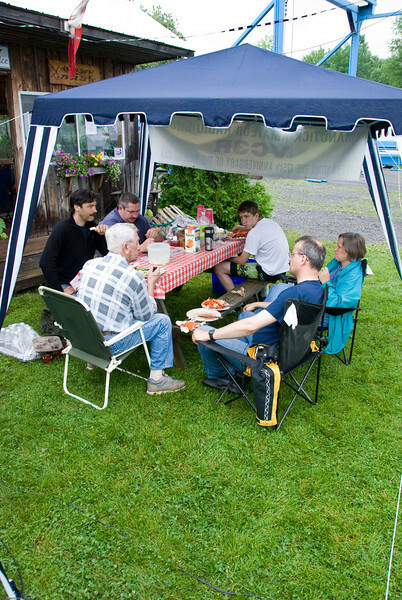 Mike (VA3MPM, standing), Steve (VE3SKP), and Gerry (VE3GFG) get some respite from the often torrential rain. 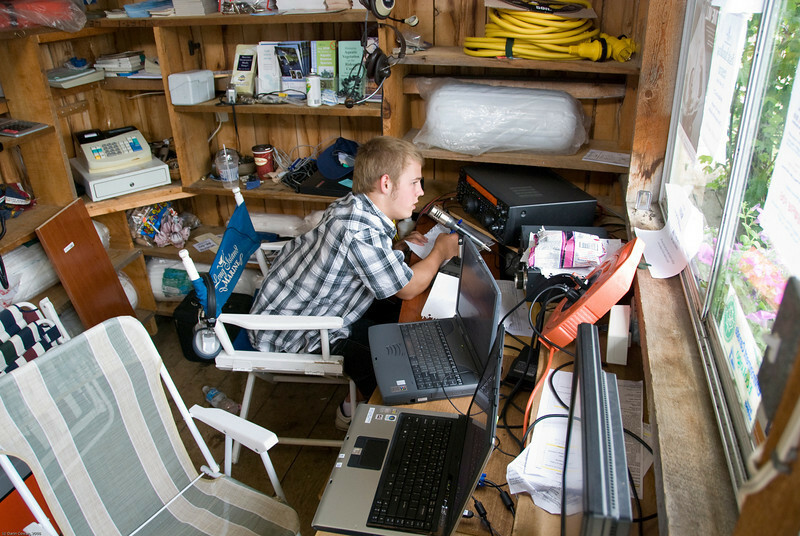 Sean (VE3HXP) at one of the voice stations. 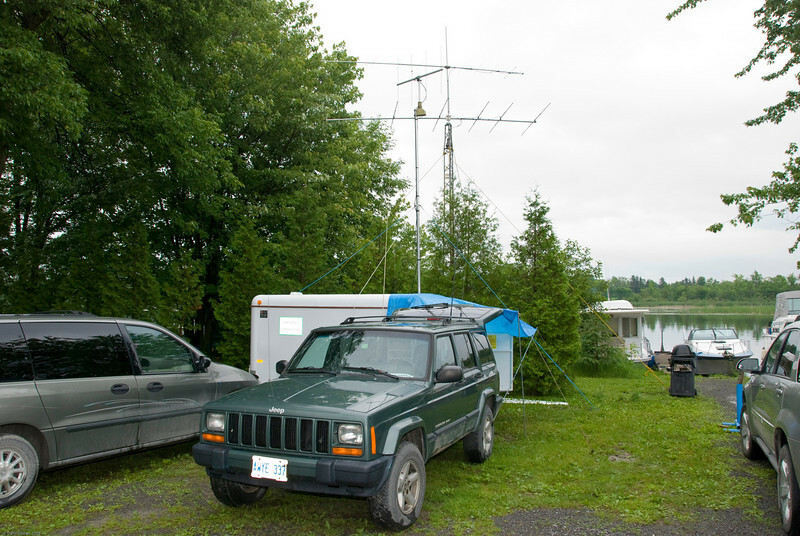 The VE3OIJ portable digital station. 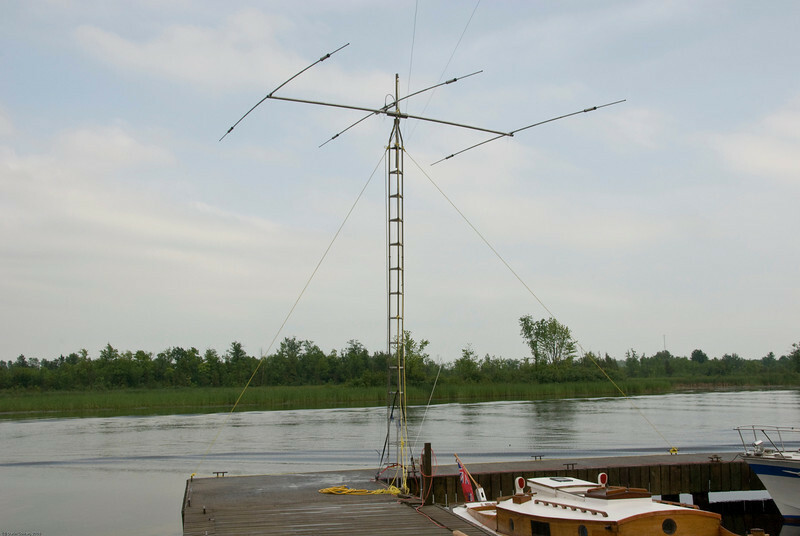 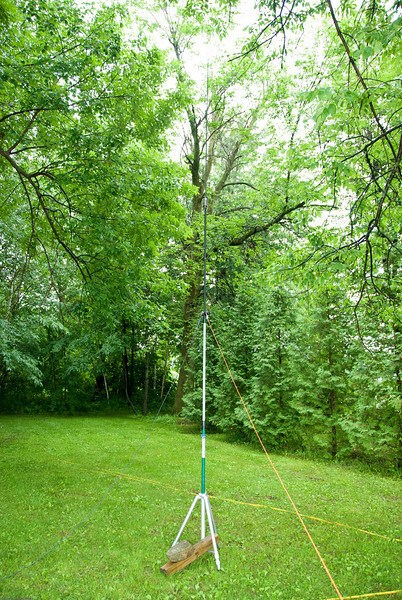 The 10/15/20 yagi on a 30' tower that we used for one of our 6 stations. 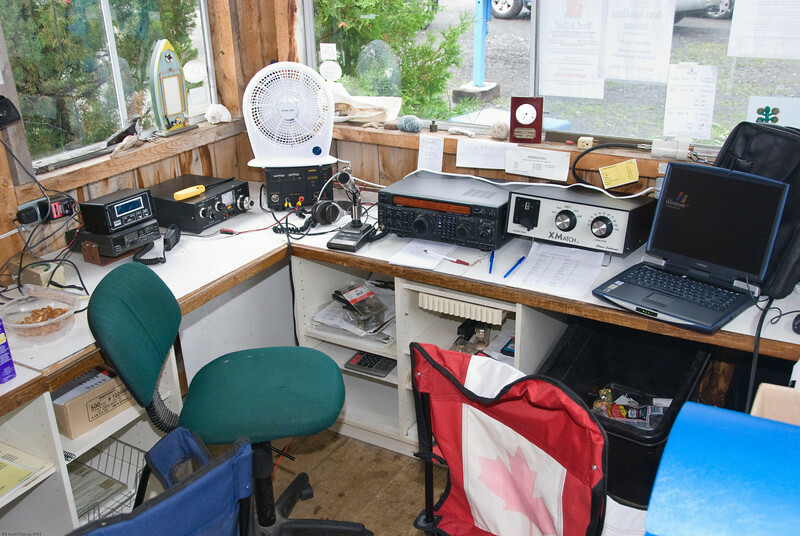 Station 1 - This station was used for voice comms on HF, including 160m. 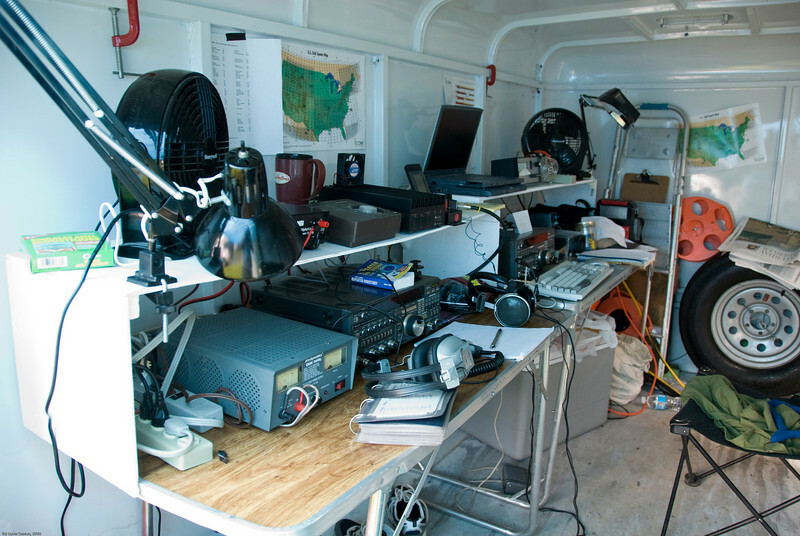 The VO1NO emergency comms shack. 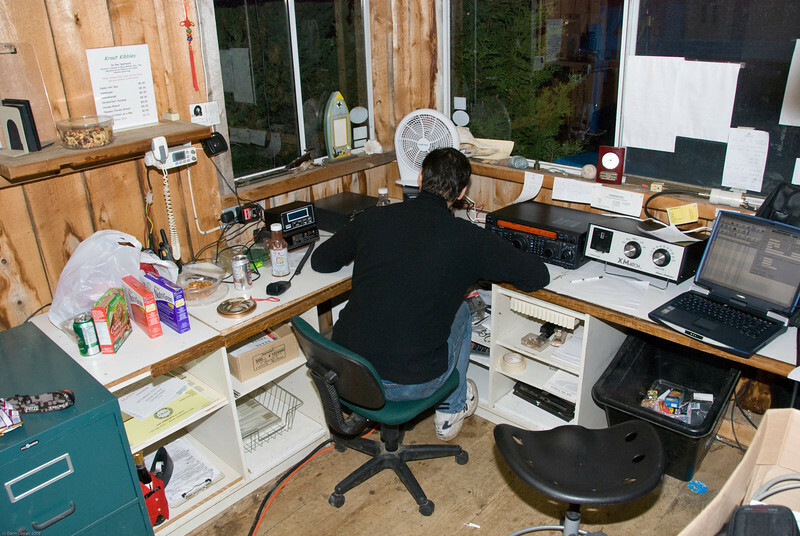 Al operated 2m and 6m from here, with considerable success on 6m on Sunday. 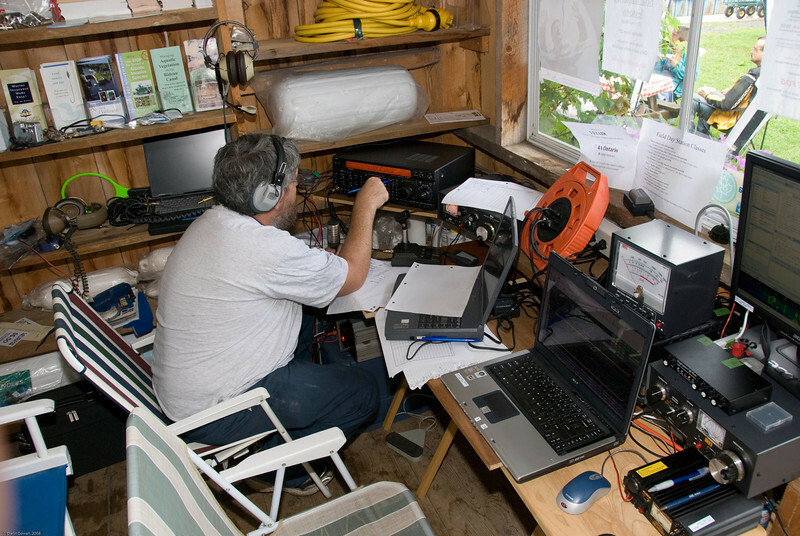 VO1NO shack from the outside, showing the 6m and 2m yagis. 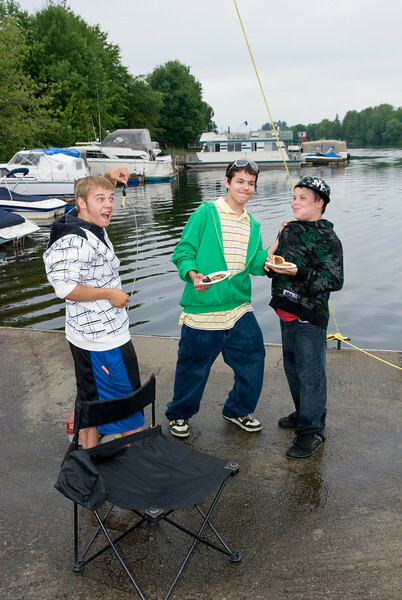 The lads, taking it easy. 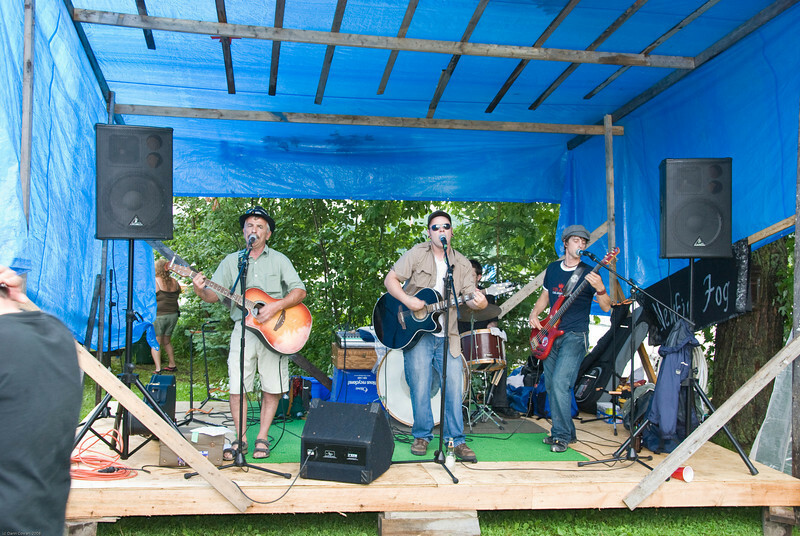 Newfie Fog - the band that played at the Surf and Turf dinner at the marina. 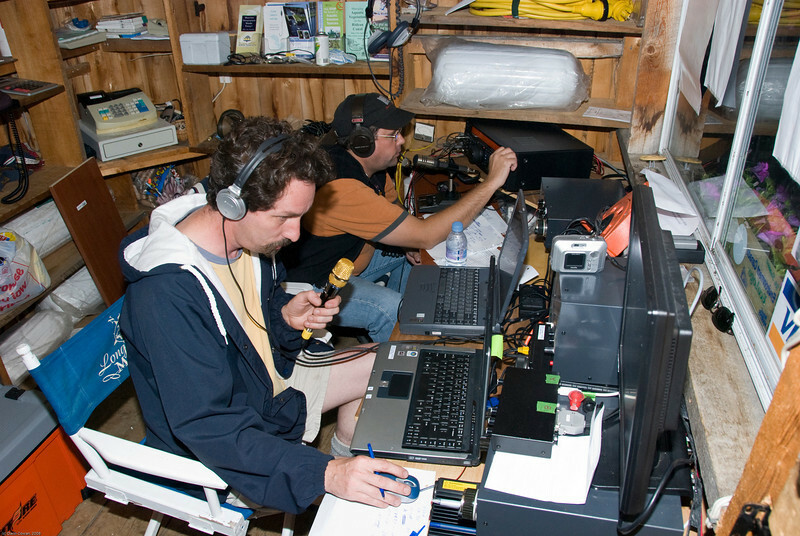 Mike (VA3MPM, front) and Gordon (VE3XGD) on HF in the wee hours of the morning, just prior to the lightning storm. 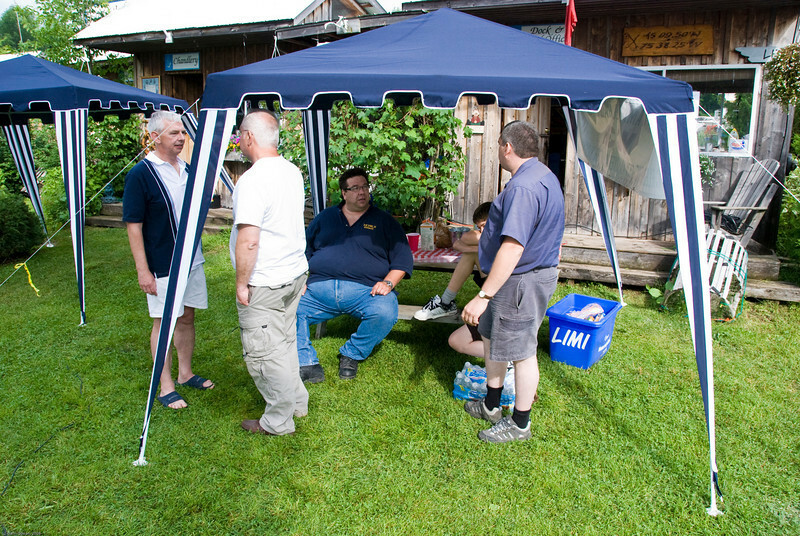 Bob (VE3MPG), Norm (VE3NLH), Darrell (VA3RDC). 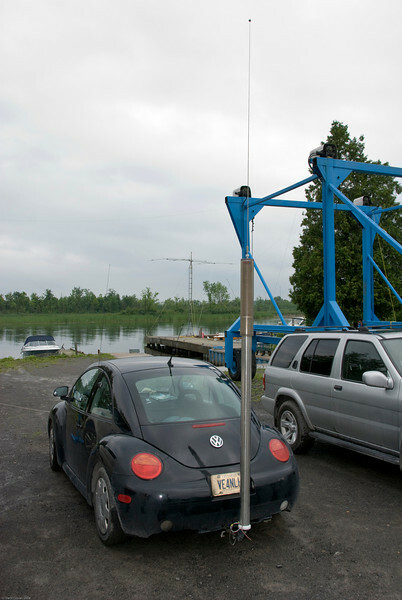 Darrell getting ready to take down the yagi. 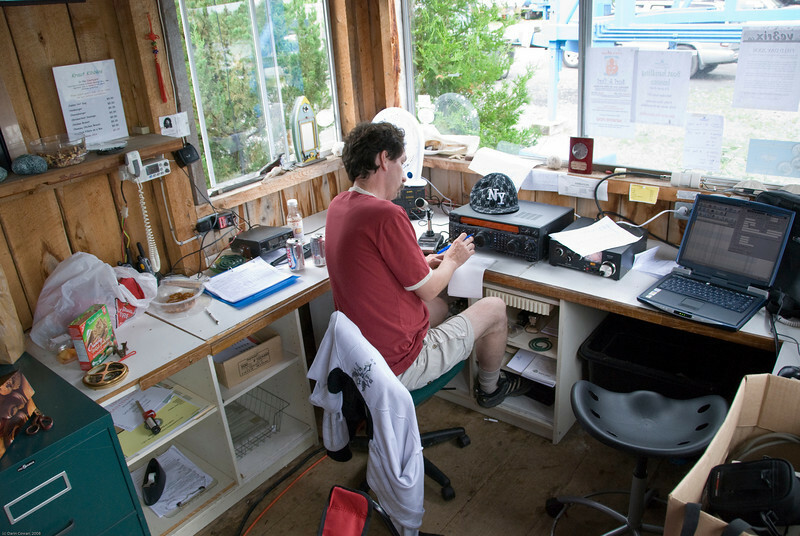 Darrell doing more pre-yagi-down prep.